How can an address on Etherscan have a balance of 0 ETH when I don't see any outgoing transactions? I don't know why balance of the address is 0. It's a smart contract. Smart contracts can only send ETH by using 'internal transactions'. On Etherscan, they don't appear on the 'Transactions' tab. You can see them on the 'Internal Txns' tab. Not the answer you're looking for? Browse other questions tagged etherscan balances or ask your own question. How can I add some balance to the address in private blockchain testnet? 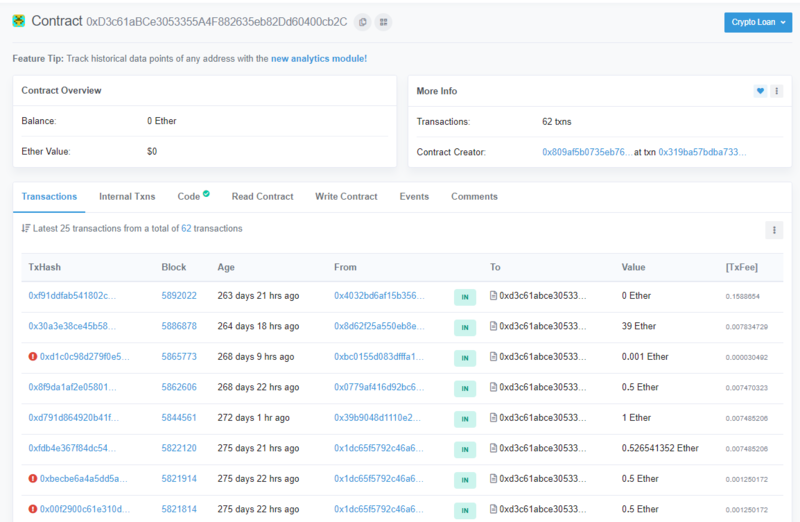 Unable to find outgoing transactions transactions on Etherscan? Why don't these transactions add up to the account's total balance? How can I get ETH balance with pending transaction? Internal transactions don't affect balance? How can I get the balance of tokens on ethereum address using blockcypher? How to convert BigInteger balance from WEI to ETH in Objective-C? Is there any case when the only transaction in Ethercan is IN, but Balance is 0 Ether?